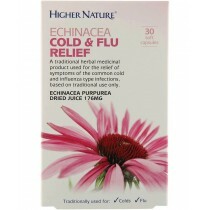 Echinacea is an indigenous North American plant used by natives as a treatment for cold, flu and various infections. 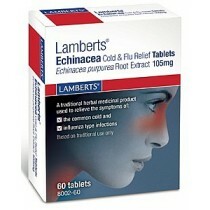 They also applied Echinacea to the skin as a healing agent for cuts and burns. Native Americans treated this plant as a wonder drug, and used it for cure for just about anything. Eventually the Europeans began to study and use Echinacea as well. After some study they found that it is comprised of flavonoids, oils, polysaccharides and a number of more familiar constituents like iron, iodine and potassium. Echinacea is also rich in vitamins A, C and E. This is why it was believed for so many years to be a sort of natural antibiotic that prompted the immune system to activate its T-cells. These are essentially the body’s bacteria fighters that help ward off disease. Now it is also used frequently to target and treat respiratory problems and various infections such as ear, sinus and yeast. Echinacea does not cure diseases but these health supplements are believed to help the body fight them off and regain its health. That is why so many consumers take it.